S01E13 - Now it's All Country! S01E15 - I will not lose, because it is my dream! S01E16 - This is Acrobatic Football! S01E17 - 4 Minutes left! A decisive battle in mid-air! S01E19 - Tough match between Meiwa and Furano! S01E23 - The Prodigy Goalkeeper Returns! S01E24 - Tenacity, Definitely Tenacity! S01E29 - The Opening of the Summer (Start)! 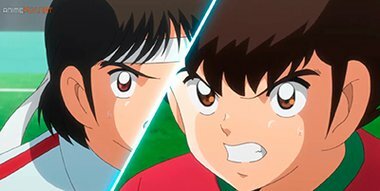 S01E39 - Nankatsu versus Hanawa Conclusion! S01E40 - Furano goes to the front!